The check on the range and accuracy of defeating the surface targets of Ukrainian cruise missiles from the new coastal anti-ship complex Neptune was successful and important results were achieved during the exercises. 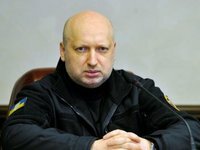 "The task that was set today for cruise missiles is to check the range and accuracy of hitting surface targets," said Ukrainian National Security and Defense Council Secretary Oleksandr Turchynov after completing tests at a military training ground in Odesa region, adding that the target was destroyed at a distance of 280 kilometers. Turchynov said that in order to check the results of hitting targets at a long range, aviation was involved, and a special unit on Snake Island was equipped. As reported, the development of promising anti-ship weapons, in particular, the new coastal anti-ship complex Neptune with a cruise missile with a range of up to 300 km is developed by the Kyiv-based Luch State Design Bureau.